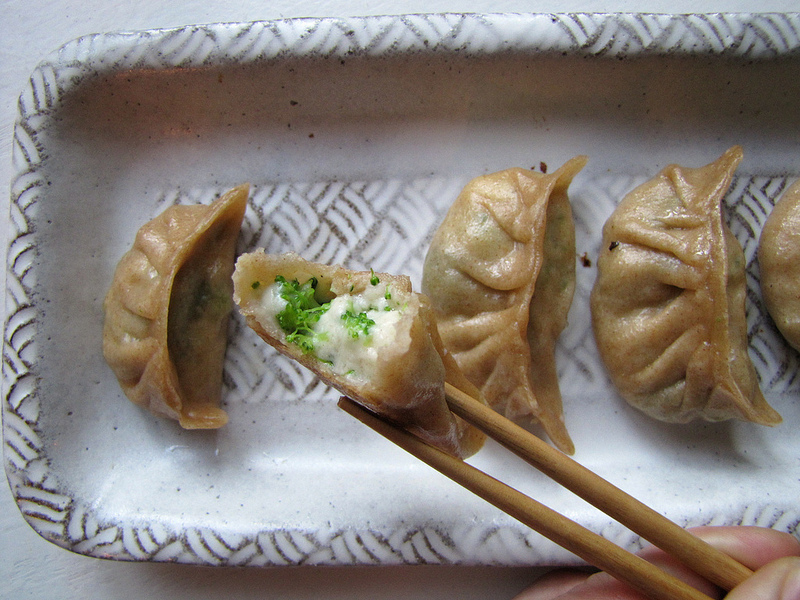 What doesn’t taste good in a dumpling? Good question. Another: Is there any festive occasion whose theme can’t be dumpli-fied? I say there is definitely not. 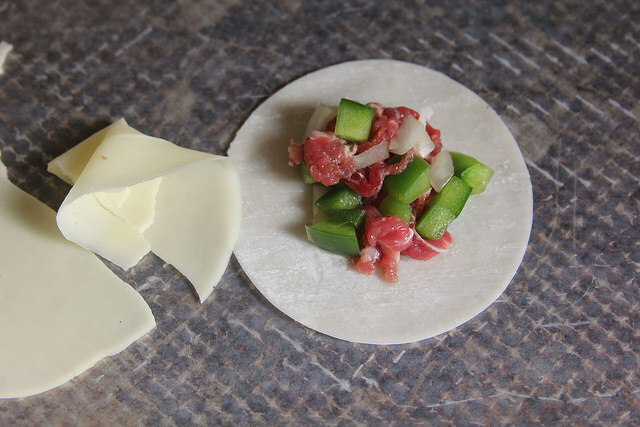 So when Super Bowl LII weekend was approaching, and I realized that one of the teams playing was the Philadelphia Eagles, I decided to make dumplings with a filling a la the city’s signature hoagie. 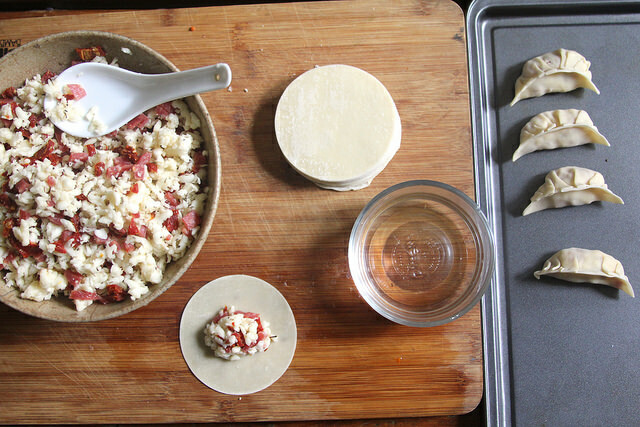 Cheesesteak Dumplings aren’t that different from Cheeseburger Dumplings, after all. 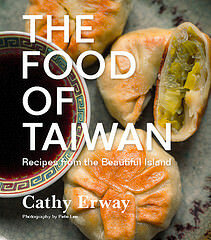 So maybe you consider yourself an aficionado of Chinese dumplings. Maybe you’re a sucker for hearty, all-American food, too. 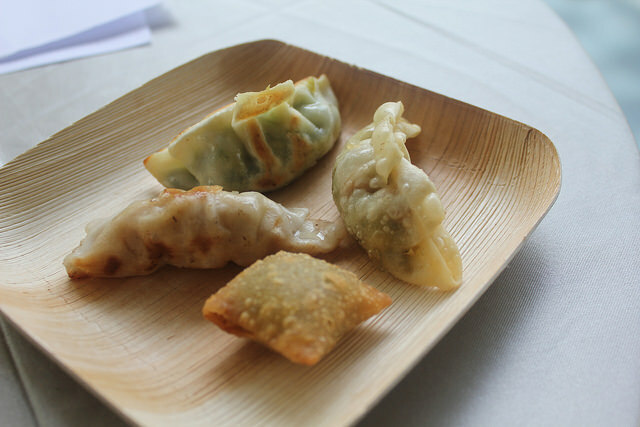 Maybe you’re just searching for a vegetarian dumpling filling that isn’t a mosaic of brown-green ingredients with an ultimately bland, nondescript taste (mei wei dao! if you speak Mandarin, that is). 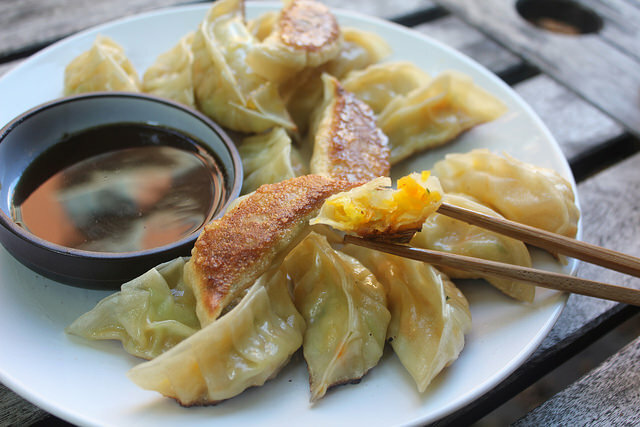 In actuality, you don’t need to hail from any of these persuasions to enjoy the unexpected delight of these dumplings — because it’s so unexpected yet delicious. 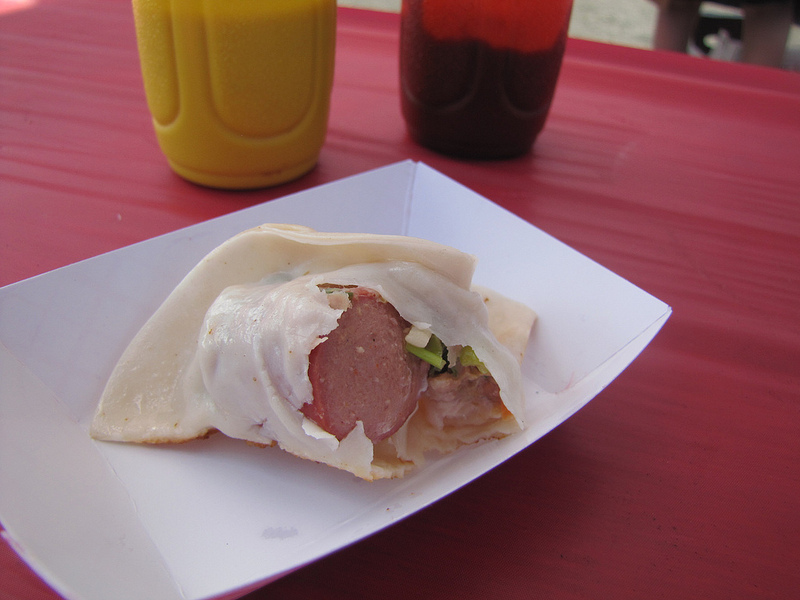 Last Saturday was the seventh annual Great Hot Dog Cookoff, and it was a doggone success. With 30 chefs (including six professional businesses in their own category) making inventive hot dog creations for a good cause; some 700 people attending to eat, vote and drink; amazing volunteers; and Kelso Brewery gathered for the event, we raised more than $10,000 for the Food Bank For NYC. And had a pretty good time. 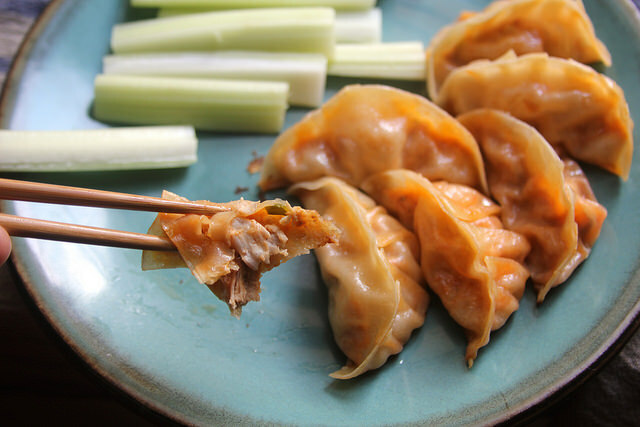 Vegetarian dumplings were once a strict equation to me: finely shredded cabbage, minced five-spice tofu, chopped scallions, and maybe some shiitake mushrooms, or clear strands of bean starch noodles. This simple formula I had been raised to identify as the proper filling for a meat-free (and admittedly inferior) version of the favorite comfort food. It wasn’t until more recent years that I realized this colorless, choppy mixture didn’t need to be just so… or just so inferior. Hold the fries with these: who needs them when you have a crisp on the bottom, chewy on the top homemade noodle encapsulating a juicy nugget of better-than-Grade-A beef, with melted shreds of sharp cheddar and caramelized onions inside? That’s a happy meal for me alone. Alright, and some soy sauce (or ketchup? I can’t decide!) doesn’t hurt for dipping.